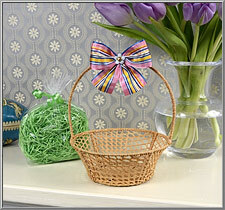 Our vintage raffia basket is perfect for displaying everything from candy treats to antique Easter collectibles. This old stock basket is more than sixty years old, yet it is still as clean and fresh as the day it was made. 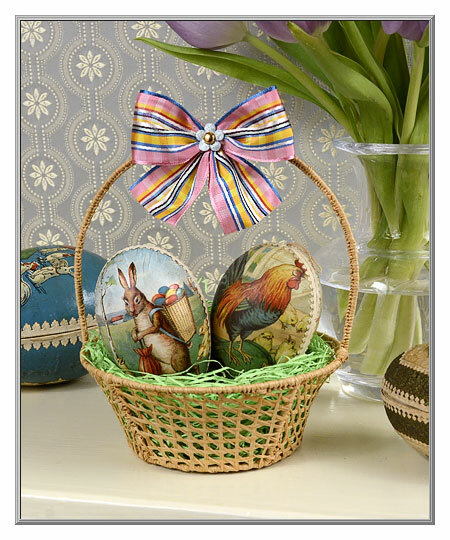 Crafted from fine raffia that was handwoven by Italian artisans on a sturdy wire frame, each of these baskets is a one-of-a-kind piece. 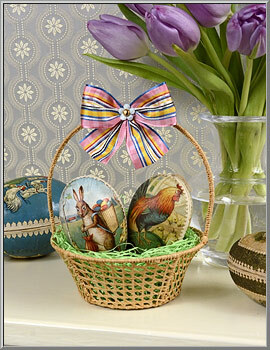 The festive pink bow was made by our artists using vintage woven ribbon. 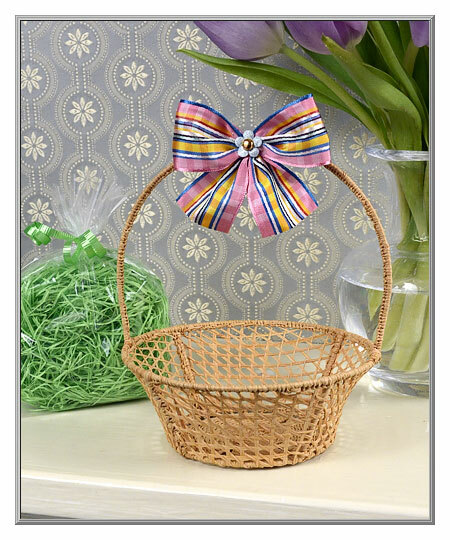 Sold as one raffia basket. 6¾” high to the top of the handle.